CatDV is the engine that powers Clippn, a global leader in video curation and stock footage monetization. We are taking a look at how Clippn’s fully cloud-deployed CatDV system supports global suppliers, an internationally distributed workforce, flexible and sophisticated workflows, and business innovation. Global content brands count on Clippn to make their dormant, unstructured, and untagged video archives accessible and transparent as a way to boost usage and create new streams of revenue. In addition to this fee-based “enterprise” model, Clippn also works with videographers and production companies in a no-risk “consignment” model to clip, tag, and distribute their raw content as ready-for-sale clips via the stock footage market, sharing the revenue only when clips sell. As Clippn built their platform for optimal efficiency and scalability, they leveraged the flexibility of CatDV’s capabilities, including customizations and an intuitive Web Client interface, and built a system that is truly their own, whilst remaining highly cost effective. Unlike Clippn’s previous platform partner, the CatDV team worked quickly and had the configured system and workflows in place to service clients within 3 months. When Mick Reed founded Clippn in 2015, it was a natural creation born out of a lifelong passion for film and video. Reed, whose broad and colourful career includes feature films and high-end agency work, has a love of visual storytelling and all things related. As a writer, shooter, director, producer, and editor, he developed an expertise in streamlining production-through-post workflows to boost quality and speed whilst lowering costs. Media asset management has always been a big part of his formula. This made him a much sought-after consultant to media companies looking to generate more compelling content. Reed’s workshops in shooting and editing resulted in their footage libraries growing. As a gauge of success, editors were generating higher quality cuts faster, and usage was up across the board. So when these same clients asked for help to monetize this content in other ways, the stock footage market was an obvious choice. In the consignment model, a Clippn contributor uploads footage through the Clippn Dashboard via a fast and intuitive Upload Wizard. This keeps the metadata and media together throughout the processing cycle, which is managed by CatDV. The footage then works its way through curation, editing, tagging, and QA until it is ready for distribution. All of this takes place in the cloud. 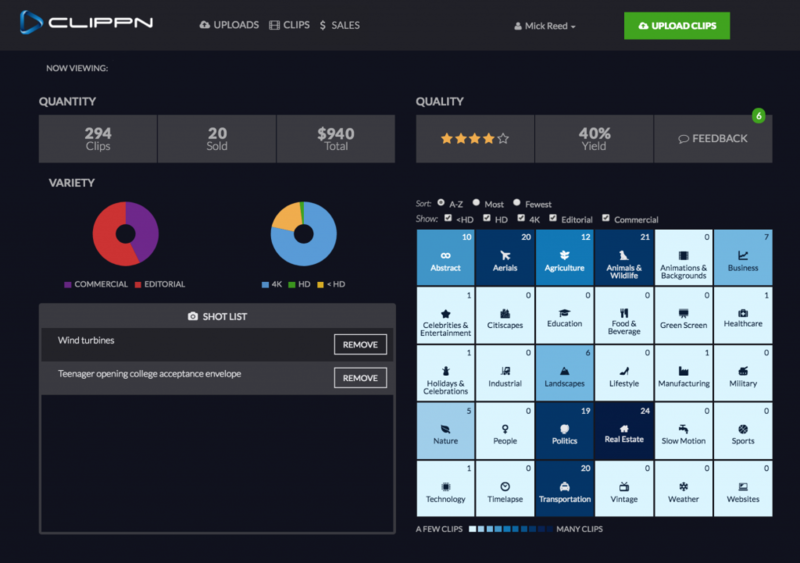 In the Enterprise model, Clippn customizes the workflows based on each client’s unique needs. A typical scenario is a vast archive of raw or edited footage that might be on LTOs with minimal metadata and no way to easily access it. Clients in this situation find themselves buying footage elsewhere when they could be tapping their own archive. “An untagged and inaccessible archive has negative value,” Reed says. 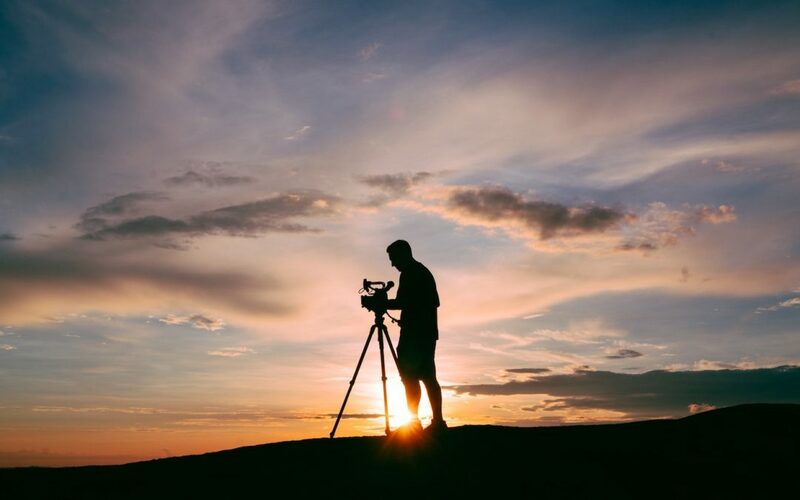 “What we do for our enterprise customers is mine and refine their archives to boost their own internal usage while creating new streams of revenue, often through the stock footage market. Our goal is to touch the footage once for multiple end uses.” The backbone of these project workflows is CatDV, usually with a customized Web Client interface that can be both Clippn and client-facing. The whole production workflow is 100% cloud based and all the services are hosted in AWS, meaning there are no data-centers to manage, and all content can be ingested, accessed, and worked on from anywhere in the world. Clippn has a distributed global workforce and assigns specialized experts in taxonomy and curation with specific cultural knowledge and sensitivities as the projects require. Does Reed have any advice for his clients to get the best out of Clippn? Given how much video is being generated on a daily basis, and the insatiable demand globally for good quality video clips, Clippn’s business is on an upwards trajectory. And through their partnership with Square Box Systems to tap into CatDV solutions, Clippn is assured a platform that will grow and evolve to meet their needs while serving their clients. It is surely a business model where everybody wins! Unlike Clippn’s previous platform partner, the CatDV team worked quickly and had the configured system and workflows in place to service clients within 3 months.